The rooms were good, clean and with all amenities. The best part was that the sofa can be converted into a full bed. Toilets were clean and hot water available 24hrs in all rooms provided from heater. It was cool enough during the heat wave in southern France. The location was excellent for the train station and the Business Management School. It was a short walk to the historic center. The Wifi was good but had to be re-entered several times a day. Staff extremely helpful and friendly. Rooms very clean and spacious. Everything was great:) The actual window view - exactly as in the photos on booking side. We had an apartment with kitchen - very comfortable. 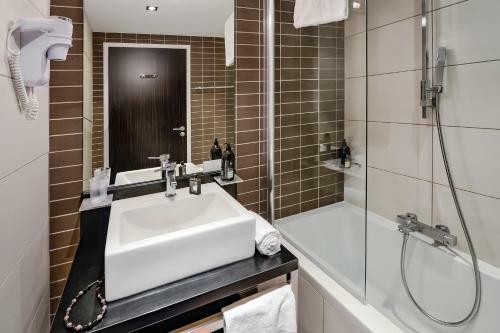 The hotel is situated in 5-minutes walk distance from the train and buses station and tram line A. Good location, near at Bruno market, some shops and cafes and a short walk or quick tram ride into town. Very reasonably priced room for a family of four and lovely, helpful staff. 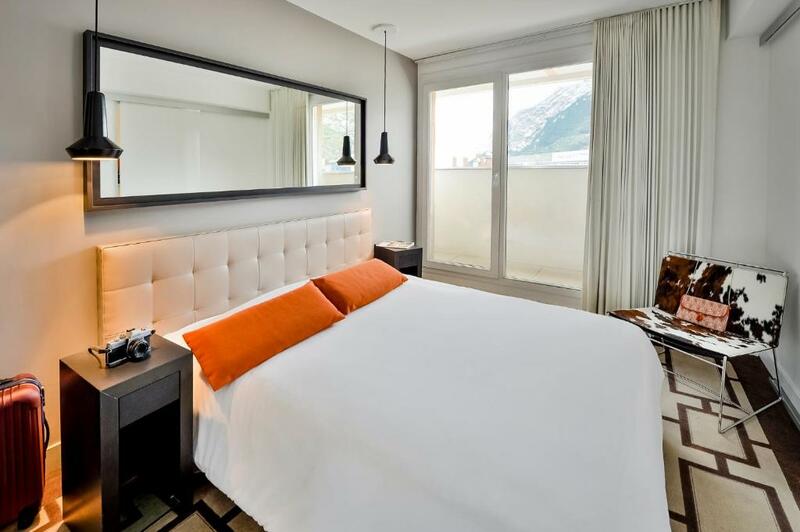 Hipark by Adagio Grenoble is located in the Europole business district of Grenoble, a 5-minute walk from the city’s TGV Train Station and a 10-minute walk from the city center. 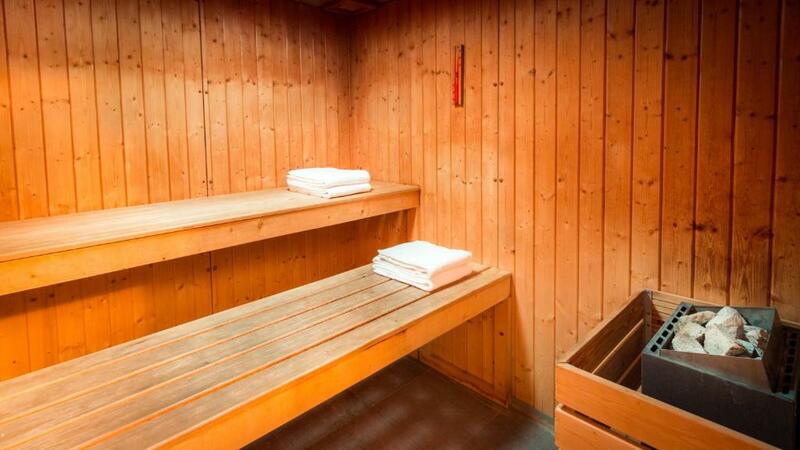 With studios and suites, it offers free WiFi access, a fitness room and a sauna. 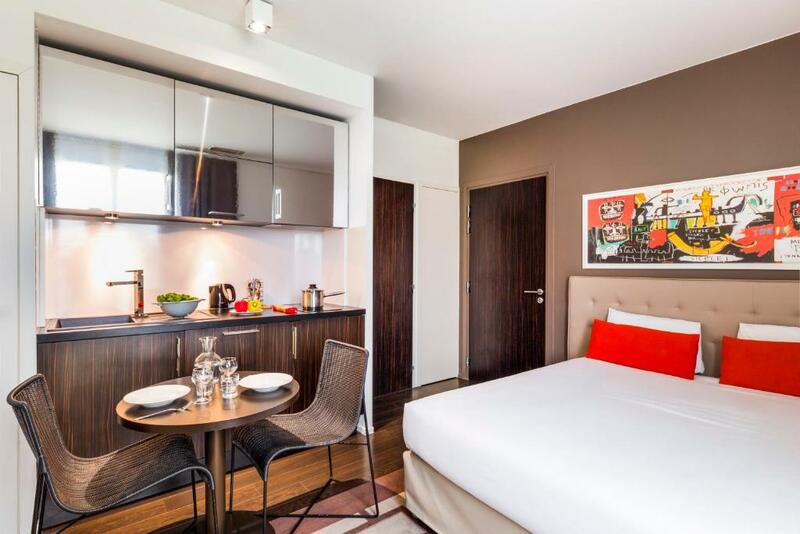 All the contemporary studios and suites are equipped with air conditioning, interactive TV and a fully equipped kitchen. 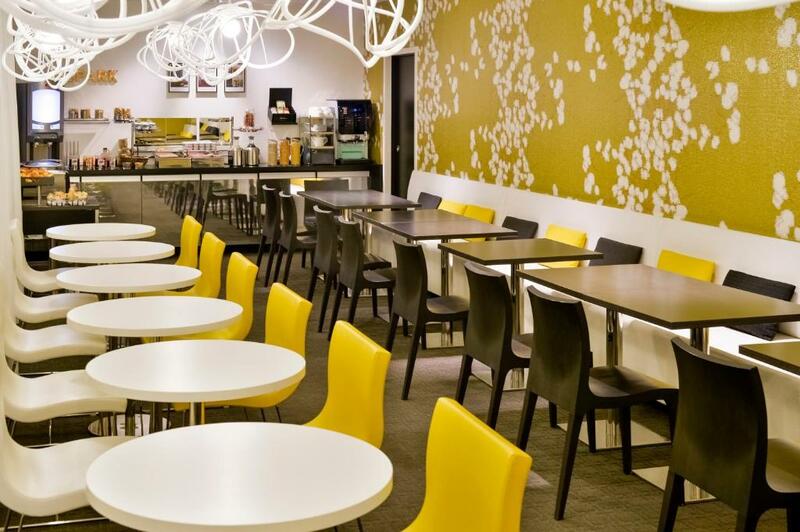 Hipark by Adagio Grenoble serves a daily continental breakfast as well as full concierge services. Grenobles old town and Noter Dame Cathedral are within easy walking distance. The A480 motorway is 0.8 miles away for guests exploring the Rhone-Alpes region by car. You may reserve private parking at an extra charge. 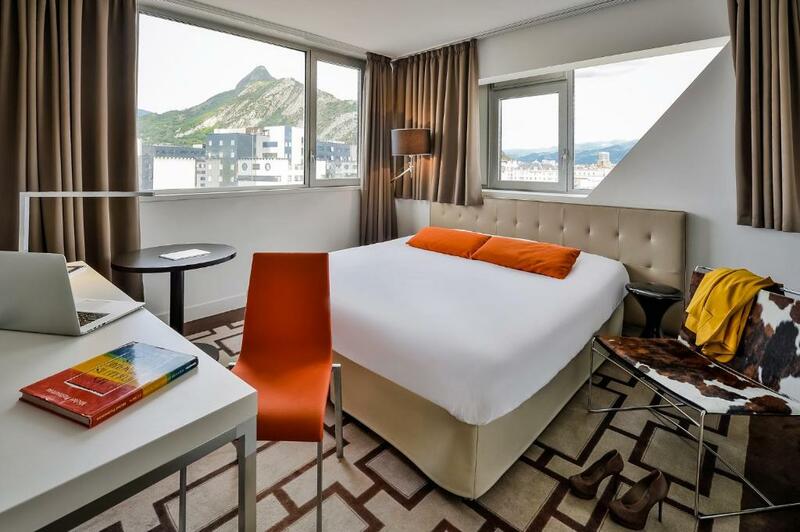 When would you like to stay at Hipark by Adagio Grenoble? This studio features a dishwasher, kitchenette and air conditioning. This apartment has a electric kettle, seating area and dishwasher. This studio features a tea/coffee maker, kitchenware and dishwasher. This apartment has a dishwasher, electric kettle and stovetop. With its assertively contemporary and refined design, this residence’s primary aim is to be comfortable, practical and pleasant to live in. Interior decoration in the apartments is by Didier Gomez, whose aim was to offer an experience of excellence that makes everyone feel more at home than at a hotel. 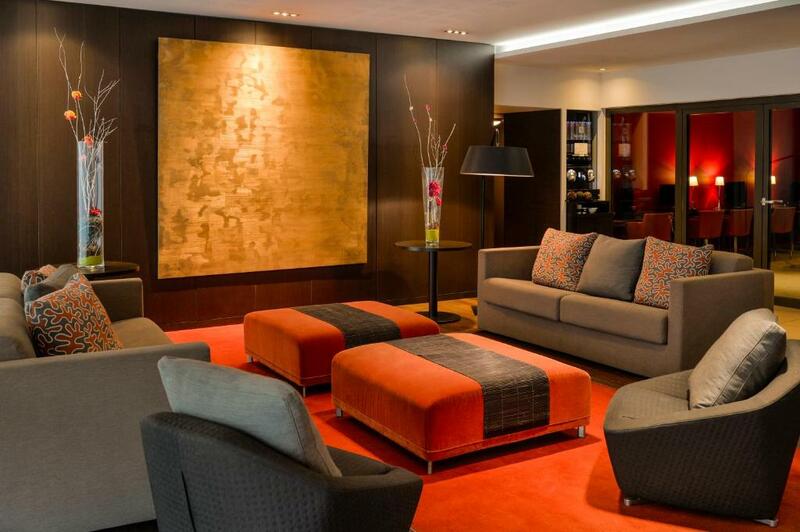 Each apartment features modern comfort in a calm and contemporary atmosphere. With its assertively contemporary and refined design, this residence’s primary aim is to be comfortable, practical and pleasant to live in. A dynamic and thoughtful team is always here to be of service to you. Hipark by Adagio Grenoble is located within easy distance of the station, the World Trade Center and the town’s main centres of interest, a choice of 111 apartments is available for your short, medium and long-term stays. House Rules Hipark by Adagio Grenoble takes special requests – add in the next step! Hipark by Adagio Grenoble accepts these cards and reserves the right to temporarily hold an amount prior to arrival. A baby kit including a baby cot and a high chair is available upon request and according to availability. 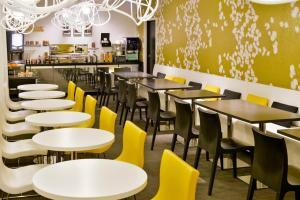 Guests are required to wash the dishes and clean the kitchen area before departure. For stays of 7 nights or fewer, an in-stay cleaning service is available upon request and for an extra fee. 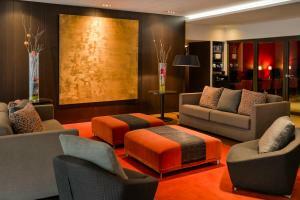 For stays of 8 nights or more, a weekly cleaning service is included in the rate. The maximum height in the car park is 6.4 feet. A few maintenance issues :shower head kept coming off.lights under kitchen cupboards kept going out and hob cooker lost all power at one point. Did not spoil our stay though. cleanliness, equipment in the kitchen, the stove (it takes hours just to boil the soup), the parking so expensive. and there was a problem with the janitor, the first day they came just to tidy up the bed, and they just threw away all of our things on the bed on the floor, it was very rough. bad smelll from the dust bin area !!!! Some lack of thought... 3 dining chairs in a room for 4 people, and a shower that pointed directly at the shower door and therefore poured all over the floor when we tried to use it. The room was clean enough but more effort could be put in to removing stains from carpets. The cleanliness of the room and the cutlery and bowls/plates. But the tv didn’t work, the hob didn’t work, it was a non smoking room that had clearly been smoked in. We had our little daughter with us so wasn’t happy staying in a room clearly smoked in. The room was little dark.. The location is nice. The late night staff was very accommodating. My wife likes the style of the room,and the facilities are very smartly arranged,the cleaning level is high. More of a small suite than a room. Refrigerator very helpful in warm weather. 5 minute walk from the gare (train and bus). 10 minute walk from MINATEC. The facilities and cleanliness were a bit of an issue. We found a few ants in our room snacking on skittles that had not been cleaned out from under our bed. We also could not get one of the stove tops to work and the air conditioning was not effective at all. The underground car park is hard to enter as our card did not open it. To gain access you need to ask reception to open the lift for you. Not a massive issue but the fitness room comprises of a new machines and 1 set of dumbbells. We found that the treadmill was also broken. Easy walk into the city. It’s nice to have your own apartment to cook in. If you have an ironing board in the room, have an iron as well. Charge me 2 euros more but please have an iron in the room!